This post was sponsored by the Florida Sweet Corn Exchange, a group of family farmers based in West Palm Beach who are committed to growing the sweetest, non- GMO corn. Thank you for supporting the partnerships that help keep A House in the Hills going! – Preheat grill, on a gas grill medium/low heat is best. – Remove husks and silk from corn, leaving a bit of the stalks to hold onto when eating. – Prepare lime crema by combining cashews (drained) with lime juice, coconut milk, salt and water. Blend until creamy. Add additional water, one tablespoon at a time, if needed. Crema should be thin enough to easily pour buy not watery. 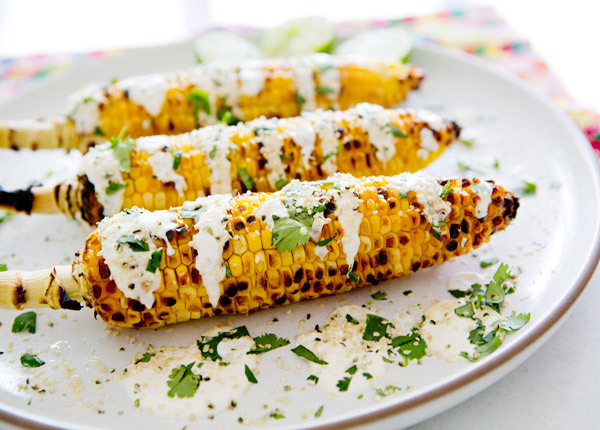 – Grill corn over medium heat, turning often, until cooked through and slightly charred (see photos for reference). – Presentation is so much with this dish so have fun with it! 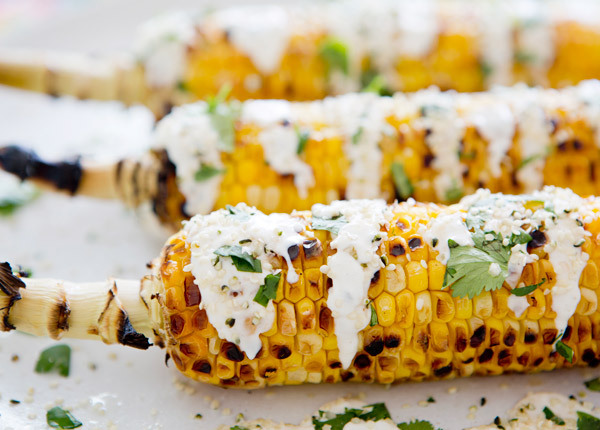 Place grilled corn on a platter, drizzle with crema, sprikle generously with cilantro, hemp seeds and maldon salt. Enjoy! Gorgeous photos! Is there a link to the FSCE website? A google search doesn't bring an actual business page. I'm curious about what they have to say about non-GMO, considering pretty much all corn in the US is genetically modified. I'll definitely make this when corn's in season! I looooove Mexican street corn, and this version sounds beyond fantastic! LOVE! This is some of my favorite kinds of food, street food. Love it! mexican street corn is my FAVORITE! So nice. I like eating it very much. You are so smart. This looks positively sublime! My kids love corn so this would be a big hit in our house. I'm going to give this a try once the weather warms up a bit more here in NY. Thanks for sharing! Looks delicious! Love the cashew-lime crema. 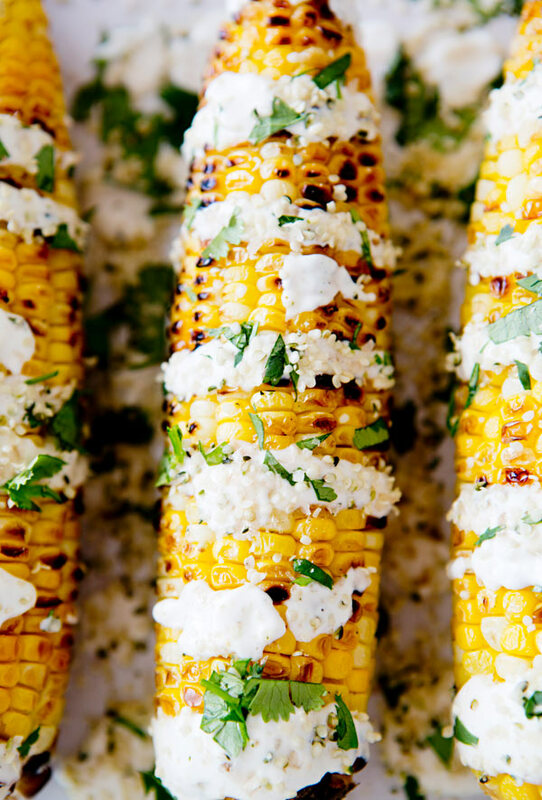 I've been looking for a good (creative) way to cook corn on the cob. Perfect timing! Made this last night… awesome!! The lime crema is out of this world. We used it on top of our fish tacos as well… killer! Thx! Do you puree this crema? blend in a food processor? Wow, that looks amazing! Just pinned, now I need to find a time to make this ASAP! 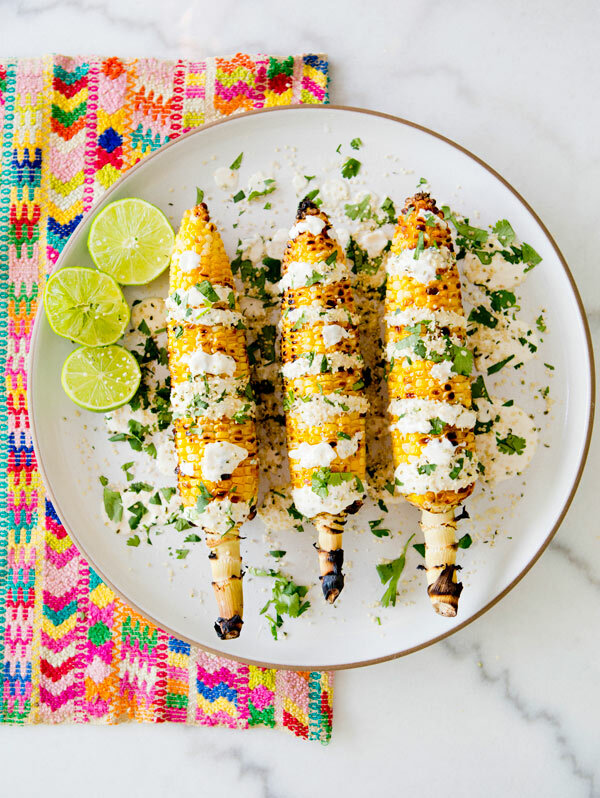 I love Mexican Street Corn – thanks for sharing! This looks great and sounds a lot healthier than the usual mayo, lime combo! But I’m allergic to nuts and was wondering if there was a substitute I could use for the cashews, like sun flower seeds or something? Or can I just leave them out out? Any suggestions for substitute for cashew? Nut allergy in our family. How is this mexican? Or mexican inspired? I mean I could totally try it and Im sure it tastes lovely but… really? 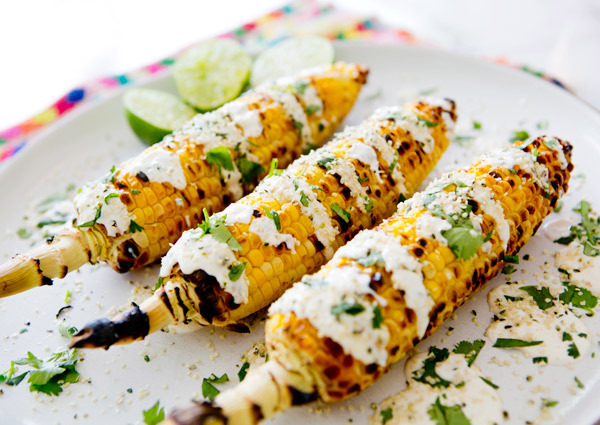 Our mexican street corn (at least in mexico city) goes with mayo, fresh (shredded) cheese, salt and chilly powder. future. I want tto encourage yourself to continue your great writing, have a nicde day! or stuffed animal, as well as. I. Ordered this corn in a great Taco restaurant they said that they used a spice call Ancho. Has anyone ever heard of that? There was sauce (mayo), , cheese, cilantro and chilli powder ( something red) ? Could they mean anchovy paste?? booked ticket just by sitting on your couch. a number of them are RAJ Travels, Eagle Travels, Pavan Travels, Praveen Travels, Sita Travels and lots of additional. notably the best in India. a look whewn I get home. I’m amazed at how quick your blog loadeed on my cell pnone ..